The Bogle Design was first drawn by Dr. Harrison Butler in 1933 for the Little Ship Club designing competition. It was named after his daughter-in-law, actress Joan Bogle Hickson, who in later years achieved world wide acclaim playing Agatha Christie's Miss Marple. 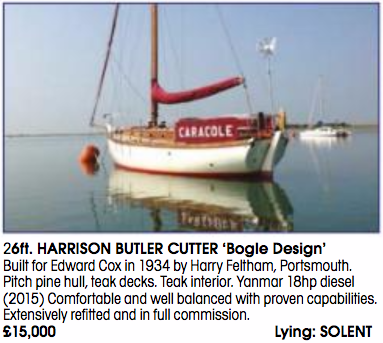 The design was a great success and resulted in quite a number of Bogles being built during the 1930s, including Caracole. It was in the late 1960's that the well known yachtsman Charles Rayner owned her, stationing her for much of that time in the Mediteranean. Roger Barnes, custodian 1999-2003, writes of his time with Caracole, “Caracole's superb sea kindliness and passage-making ability enabled me to make serious sea passages to France, the Isle of Man and Northern Ireland. However, two job changes and house moves in two years forced me to sell her. 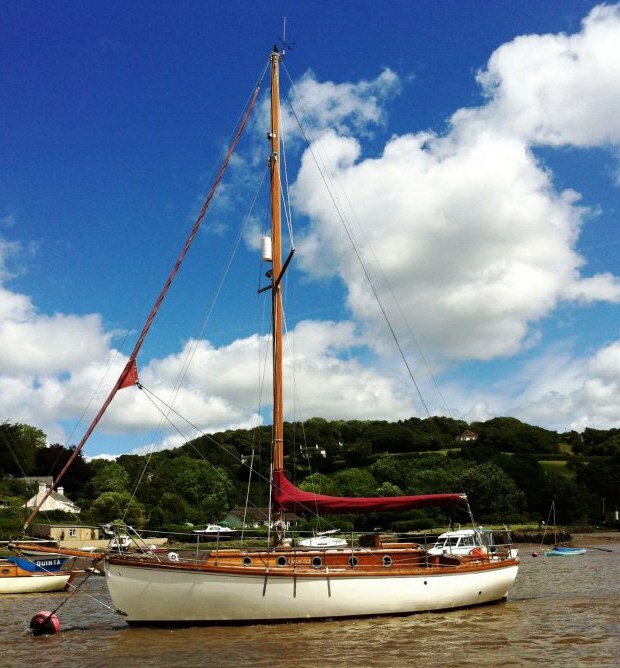 With a bittersweet final voyage down the west coast of England from Fleetwood to Watched in the Spring of 2003, I delivered Caracole to her new home berth and a new owner”. The Musgrove Family took her on in 2013 and I greatly enjoyed meeting them on the Newtown River at the HBA's gathering of the boats , July 2014. However, they have since realised that as a family they are too dispersed and without sufficient time to enjoy her properly. In 2017 they put her up for sale, the sale to a new custodian going through, November 2017.